The company's support system is its HIRE-CRAFT - An ERP system that is marked by the latest updates in technology and security measures. The company employs an in-house modified system and highly sophisticated Windows Server. This helps in keeping a track of the voluminous data in an organized manner. Having Video Conferencing as one of the many facilities, the employees are able to communicate and interact directly with people based anywhere in the world. If client organizations get themselves registered with the web portal, they can intimation about the latest updates of the candidates' status via HIRE-CRAFT generated reports on a weekly basis as and when needed by the client. The company's executives possess fully computerized database, which is constantly augmented and upgraded for all categories. To make the entire process of recruitment easy and simultaneously maximize quality output, the company has installed HIRE-CRAFT. The system enables employees to carry out monotonous and routine tasks easily and faster. Starting from the beginning of the hiring phase till the end, the company stays involved throughout its different processes. Key features of HIRE-CRAFT are: Requirement Management, Resume Sourcing, Screening, Vendor Management and Interview Management, Offer and Post Offer Management, and Payables to vendors and employee referrals. Another feature is a provision available for blacklisting unwanted candidates who repeatedly fail to get selected yet still keep applying for various positions on the company's web portal. To ensure our clients do not waste time in making futile attempts at recruiting such candidates , we have built features in our ERP system that help them to identify such candidates in the beginning of the recruitment process. Reports are generated instantly showing the current status of the candidates. Similar reports can be generated, thus benefitting the clients and saving their time as well..
HIRE-CRAFT facilitates smooth management of online documents by clients as well as candidates. Candidates can get themselves registered for free to get exclusive and uninterrupted services. 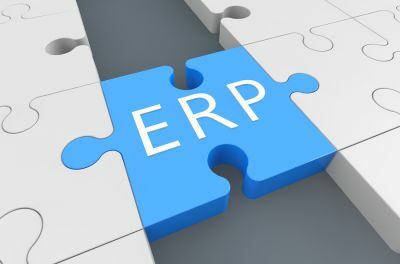 Confidentiality of the data is maintained with the help of the company's ERP system. The candidates can thus be rest assured of no information leak at the hands of the company executives.